After raising nearly $5 million to invest in startups two years ago, Denver-based Rockies Venture Club is starting a second venture fund, this time looking to raise $50 million. 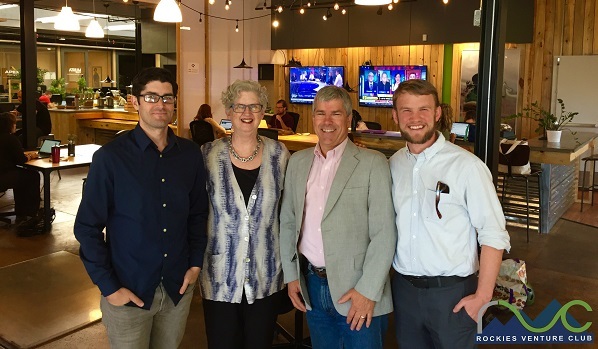 Rockies Venture Club, which has been matching early-stage startups with investors since 1985, plans to have its final close on the $50 million Rockies Impact Fund in the first quarter of 2020. Dave Harris, RVC director of operations, said the fund plans to write checks of $400,000 to $500,000 in companies’ inaugural funding rounds, giving Colorado companies more local investment options. “Part of the reason we wanted to do this was to try to help fill the early-stage capital gap,” Harris said. He said companies providing some sort of environmental or social good, while still able to give investors massive returns, are good fits for the Rockies Impact Fund. He cited Golden-based PharmaJet, which makes a needle-free device for delivering vaccines, and Boulder-based Geovisual Analytics, whose tech helps farmers capitalize on harvest production. He thinks the fund will serve as a filler for early-stage startups before they are eligible for investment groups such as the Colorado Impact Fund, which usually invests in Series A and B rounds, he said. With its first fund, Harris said RVC made 26 investments in 19 companies. RVC also has 215 angel investors it considers part of its network. In addition to the new fund, RVC also has expanded outside the U.S. for the first time. This week in Adelaide, Australia, it’s hosting its five-day bootcamp that readies entrepreneurs to receive funding. The program has carried 70 startups through nine iterations of its “RVC HyperAccelerator” in Denver in three years. Now, eight Australia companies are in the midst of the program that will finish Feb. 14. 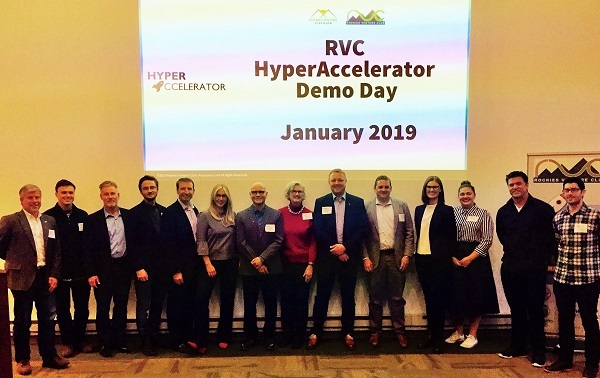 RVC’s most recent crop of companies at its most recent Colorado HyperAccelerator. Those eight companies include startups in sports tech and digital health, among others. Harris said RVC was approached by Boulder-based Conduit Accelerator to license RVC’s curriculum and program. Individuals pay $2,995 to attend, and RVC receives a percentage of that cost from the Australia HyperAccelerator, Harris said. RVC expects its HyperAccelerator to gain even more traction outside Denver soon, including a second version in Australia this summer. “We have been approached by a national organization to do a version of the HyperAccelerator in a number of different places across the U.S., mostly targeting younger entrepreneurs,” Harris said. 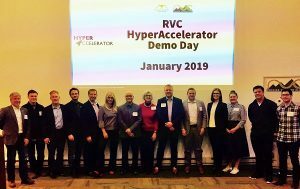 Unlike many accelerators, RVC’s HyperAccelerator does not address topics of strategy or market fit as much as it prepares companies for fundraising. RVC employs four people at Thrive Workplace in Ballpark.